Prepare students and measure their comprehension by assigning purposeful work, setting clear expectations, and providing ongoing feedback as the unit of study unfolds. In many classrooms, teachers assign homework out of habit. Learn to design quality, purposeful homework instead. 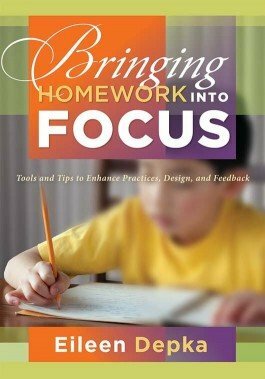 The author urges educators to reflect on the purpose of student assignments to determine if and when homework is valuable. Prepare students and measure their comprehension by assigning purposeful work, setting clear expectations, and providing feedback as the unit of study unfolds. Recognize that different kinds of homework assignments advance students knowledge and promote their understanding during all stages of the learning process. Learn the components that influence quality homework design. Interpret examples of assignments for multiple school subjects to understand how to create impactful questions on any topic. Develop rubrics and checklists to clearly assess the accuracy of completed homework and better communicate feedback. Create learning environments in which students recognize that well-designed homework can help them reach their own goals for personal growth.